Ah... dreams of a mince pie by the fire. Children quietly playing with their newly unwrapped toys while a delicious smell of fresh cod fish coming from the kitchen. Christmas in our house could look like any of the 4 countries described below except that we tend to go to either Portugal or France for Christmas. We have not yet really made our own family Christmas blended traditions. There is plenty of time for that. 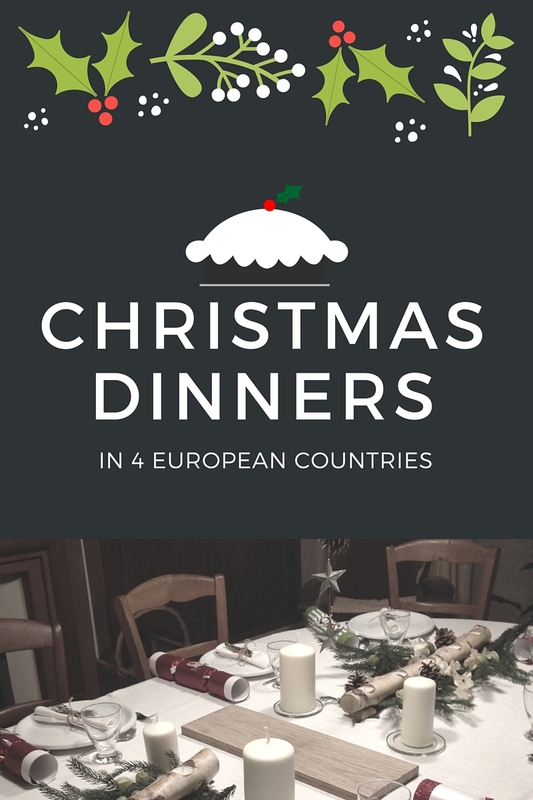 In the meantime, here is what Christmas food looks like in our four favourite European countries. In Portugal there are two main Christmas meals in families: one on the evening of December 24th and the other on the 25th. Both meals' staple dishes are different. Christmas Eve: a codfish dish is usually served on Christmas Eve: Bacalhau com todos (literally cod fish with everything). 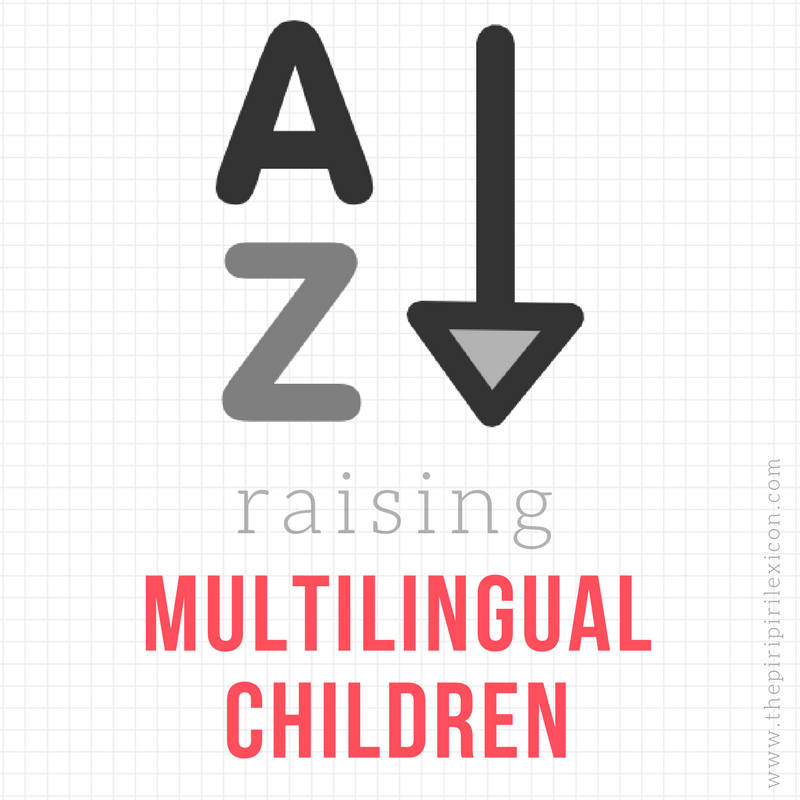 This means that it comes with boiled vegetables (such as potatoes, carrots and cabbage), and eggs. Broa (corn bread) also accompanies the meal. Starters are often little deep fried pastries like pasteis de bacalhau or rissóis. And dessert is often a table filled of smaller plates: an assortment of dried fruits and nuts, the bolo rei, pannetone, several home baked cakes, and the typical fried cakes called cuscuroes, filhóses and sonhos made with flour and pumpkin/carrot and coated in sugar and cinnamon. Christmas Day: Roasted turkey or lamb is the main dish. Other accompaniments are similar to the above. 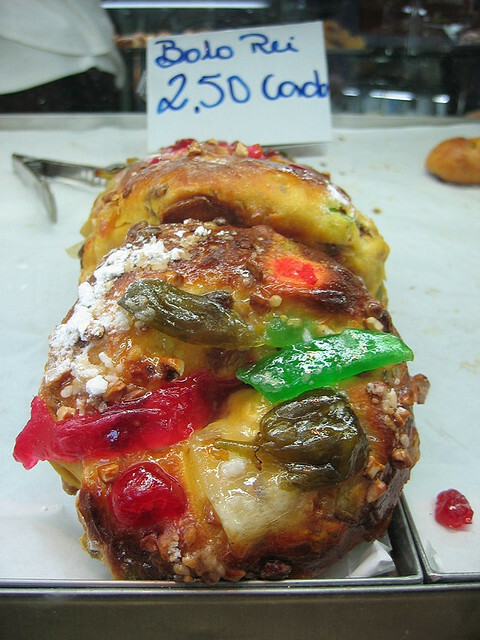 Bolo Rei, the famous cake topped with candied fruits is offered from November onwards as a staple snack. Christmas in France is often spread over the 24th and 25th. Many families now have a big meal on the evening of the 24th and often a lunch with the other side of the family on the 25th. Food is very important in France, so, of course, Christmas is no different. The meals can last for up to 6 hours and people spend a crazy amount of money on the meals. - Foie gras: this is the top traditional starter in many households often served with warm bread. - Escargots: an alternative to the foie gras. 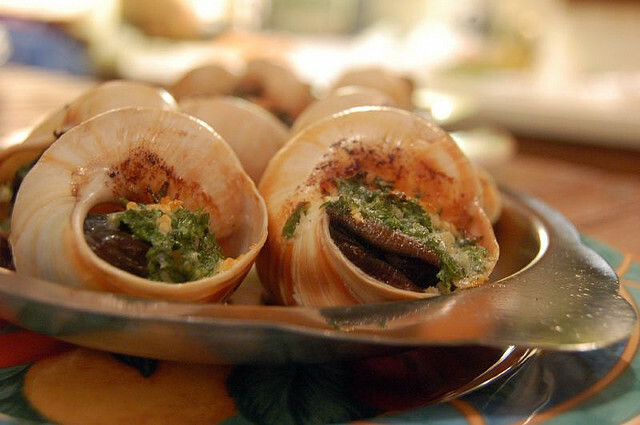 Snails are served most often with a parsley butter. (Not a fan of them, personally). - Scallops: Another possible alternative to the foie gras. Oysters are reserved for the 31st December party. - A meat dish: most often turkey but there is also a lot of game meat around too. - Vegetables: the most common vegetables served with turkey are green beans and chestnuts. - A huge cheese platter with green salad. 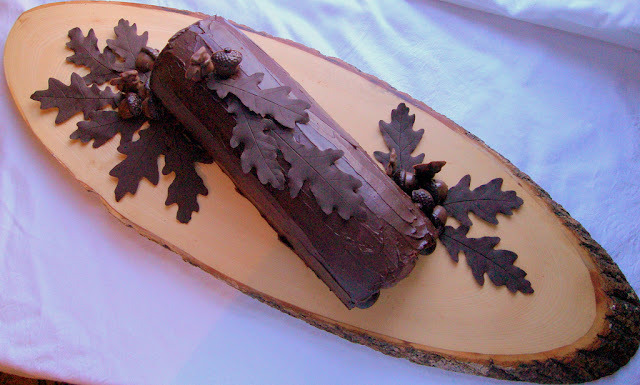 - Bûche (log): a swiss roll style cake with different flavoured fillings and fancy decorations on top. This year we are going to be having a traditional French bûche because the 5-year-old 'has seen it in books but has never had one'! All served with different wines for the different dishes and ended with coffee. Some families where I am from (Normandy) have a Trou Normand (a small glass of Calvados liqueur) in the middle of the meal to help with digestion. In some regions of France (mostly Provence), it is traditional to have 13 small desserts. They include a selection of dried and fresh fruits, nuts, nougat, flat bread and other small local delicacies. There are two Christmas days in Germany (called first and second Christmas days) on the 25th and 26th. Both are holidays. Traditionally, the big meal for Christmas was on the 25th. But families are moving more and more towards a big feast on the 24th like in many other parts of Europe. The evening meal of the 24th is traditionally a lighter meal. 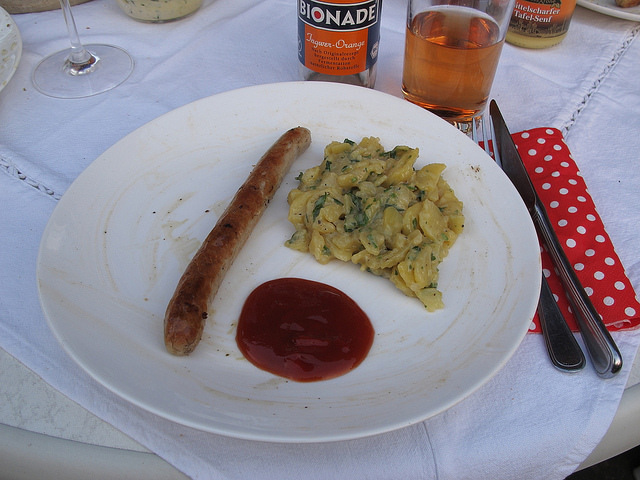 Kartoffelsalat mit Würstchen (potato salad and sausages) would be served. No special dessert but plates of sweets, nut and oranges or a typical German everyday cake (like an apple strudel) would end the meal. On the 25th, the bigger meal is traditionally served at lunchtime with meats like goose, rabbit, or deer. Some families also eat fish. Friends tell me that there is so much variety within Germany that it is hard to pinpoint typical dishes. Germans simply spend time cooking a really nice meal but there are no real typical dishes. 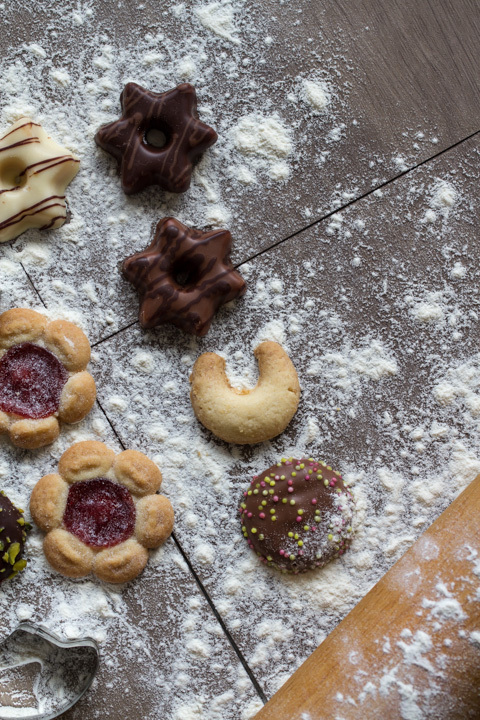 Cookies (Plätzchen) are often served throughout the holiday period with tea or coffee. Cinnamon stars or vanilla crescents are amongst the popular ones. Stollen (a rich fruit cake) is also really popular (especially in the East) but not really eaten as dessert. A nice glass of mulled wine will go well with any of the above too. As opposed to all of the other countries above, in the U.K. the main Christmas meal is on December 25th. Just like in Germany, there are two 'Christmas days'. The 26th is called Boxing Day. Many families celebrate on the 25th with one side of the family and 26th with the other side. - Turkey: more and more game meat is served too but turkey is still the favourite. - roast potatoes: potatoes roasted in goose/duck fat. - vegetables: sprouts (served with diced bacon), carrots, roast parsnips, for example. - stuffing and gravy: a typical stuffing could be sage and onion. 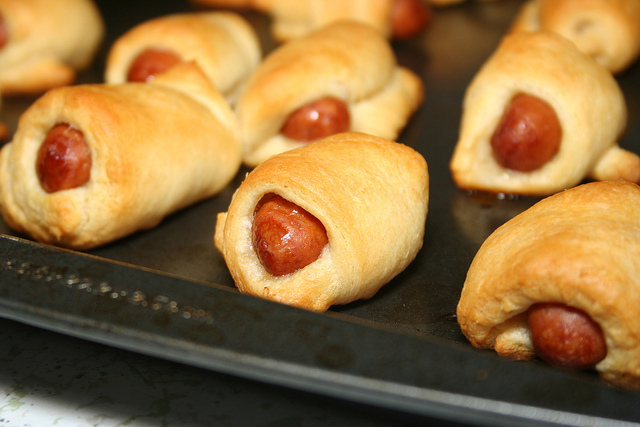 - pigs in blankets: mini sausages wrapped in pastry. - Stilton: served with a glass of Port wine. - Christmas pudding: if it is home-made, the dried fruits will have been soaked in alcohol for weeks beforehand. It is then doused in brandy and set alight for an impressive (albeit heavy) end to the meal. - Mince pies: these are usually served with a cup of tea at any point during the Christmas season. The pies are sweet (contrary to what most foreigners think when they hear mince). The little individual pies contain a mixture of dried fruit, peels, spices and suet (fat). They used to contain meat but don't any more. Now, this is not food but the British Christmas meal cannot start without pulling opened some crackers. Once everyone has the silly hat on, the feast begins! If you want to find out a little more about desserts around the world, I have also written this post here with some info-graphics and typical desserts in 15 countries in the world. 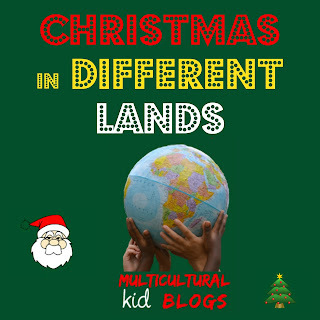 And here is a huge round-up about Christmas around the World. 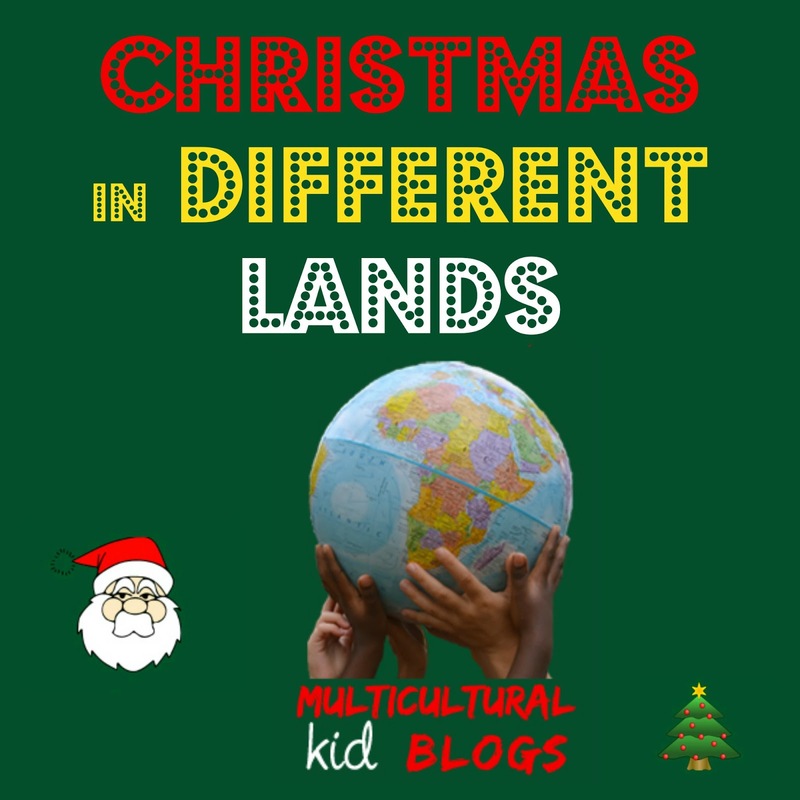 This post was written as part of the Christmas in Different Lands series. Ahah! The potatoes salad in Germany had baffled my husband the first time he had Christmas Eve at a local house. He was 19, very much French in his food taste, and when he saw the hostess served that, he thought she was a bit joking on him and the other guest. Now, he knows better! 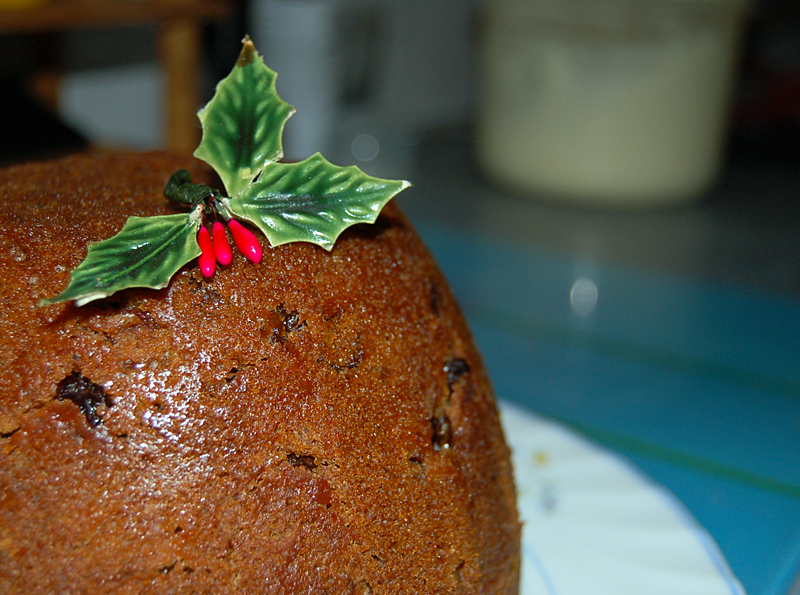 As for Christmas pudding, I tasted it once, thanks to a British friend in Middle School, and I loved it!